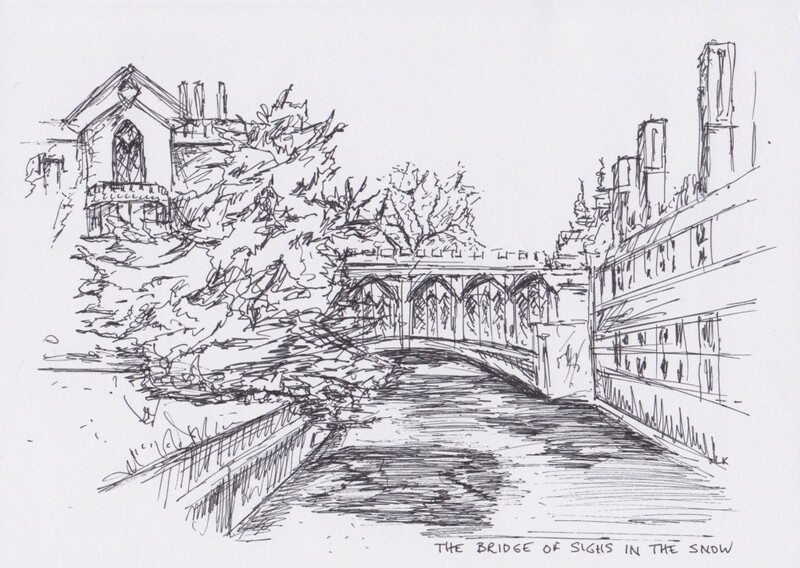 I love drawing buildings so I thought I would share one I did of a favourite view of the Bridge of Sighs in St Johns College, Cambridge in snow. This beautiful covered bridge was built in 1831 and was named after the famous Venetian bridge, although it doesn’t resemble its design in any way. I am planning to do lots more drawing this year, both of buildings and also interiors so I’ll share these as I go!